The Pocket Project Advisory Committee is designed as an honorary committee, a visionary source of collaborative inspiration within the field of collective and intergenerational trauma. The committee meetings are designed as a space of mutual inspiration and learning and the Pocket Project benefits greatly from the collective experience of this committee of experts. Dr. Bethell is a Professor in the Bloomberg School of Public Health at Johns Hopkins University, where she works to advance a new integrated science of thriving (http://bit.ly/2fasOEe) to promote early and lifelong health of children, youth and families. 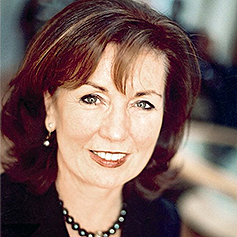 She is the founding director (1996) of the Child and Adolescent Health Measurement Initiative (CAHMI), a center within the Department of Population, Family and Reproductive Health. She leads a Mindfulness In Maternal and Child Health consortium and a national agenda to address childhood trauma to promote healing and well-being. She catalyzes mindful, data driven community partnerships by developing and liberating health and systems performance data through the National Data Resource Center for Child and Adolescent Health (www.childhealthdata.org) and the National Maternal and Child Health Measurement Research Network. Complementing this are family-driven health improvement projects to develop and test IT based tools, like the Well Visit Planner, that engage and coach families to reflect on health and needs and select priorities prior to health care encounters. These tools seek to build trusting relationships and healing encounters between families and health care providers. She earned an MBA an MPH from the University of California, Berkeley and PhD in public policy from the University of Chicago and has authored over 100 journal articles and works to build knowledge and action. She is an avid student of transparent communication, presence and human evolution, writes poetry, dances and believes that connection with ourselves, life and others is the source of our creativity and joy. Joana Breidenbach has a PhD in cultural anthropology and is the author of numerous books on the cultural effects of globalisation, migration and tourism. Including Tanz der Kulturen (Rowohlt 2000), Maxikulti (Campus 2008), and Seeing Culture Everywhere (University of Washington Press, 2009). Joana is co-founder of betterplace.org, Germanys largest donation platform. In 2010 she founded the betterplace lab, a think and do tank researching the use of digital technologies for the common good. In line with her interest in digital-social innovations, she supports initiatives such as the Redi School for digital integration, CRCLR, Stiftung Neue Verantwortung and Alfred Herrhausen Gesellschaft. Joana also invests in mission-driven startups such as Clue, BESolutions and nebenan.de. Prof. Dr. Stephan Breidenbach is a law professor (European University Viadrina, University of Vienna) and a serial entrepreneur. He has acted as arbitrator (ICC, CAS) and mediator in numerous national and international disputes. In 2011/12 he coordinated the future dialogue for the German chancellor Angela Merkel. 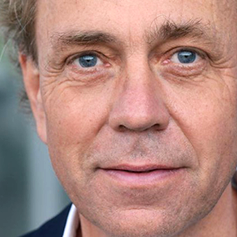 For the last fifteen years Stephan has developed legal tech for legal practitioners. His company knowledgeTools© International develops contract and plea generators as well as knowledge management systems for large-scale litigations (Toll Collect) and legislation (German Federal Ministry of Justice). He is the co-founder of BE Food AG, BioWink (Clue), betterplace.org, Schule im Aufbruch and ReDI School for Digital Integration, amongst others. 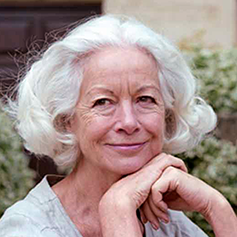 Scilla Elworthy is three times Nobel Peace Prize nominee for her work with the Oxford Research Group to develop effective dialogue between nuclear weapons policy-makers worldwide and their critics. She founded Peace Direct (2002) to fund, promote and learn from local peace-builders in conflict areas and co-founded Rising Women Rising World (2013), and FemmeQ (2016). Scilla was awarded the Niwano Peace Prize in 2003 and was adviser to Peter Gabriel, Archbishop Desmond Tutu, and Sir Richard Branson in setting up ‘The Elders’. Her latest book The Business Plan for Peace: Building a World Without War (2017) and her book Pioneering the Possible: awakened leadership for a world that works (North Atlantic Books, 2014) received critical acclaim from experts in the field. Her TED talk on nonviolence has been viewed by over 1,130,000 people. Dr. Robert Gass is internationally-recognized for his pioneering work in building social movements and training and coaching top global leaders in the fields of human rights, social justice and sustainability. Co-founder of the Rockwood Leadership Institute and the Social Transformation Project, he has supported leaders and organizations ranging from NGOs like Greenpeace International and Amnesty International to leaders of the Obama White House. His approach is a synthesis of spiritual practices and humanistic psychology, seamlessly applied to the practical challenges faced by leaders in running large institutions and movement building to effect social change. Dr. med. 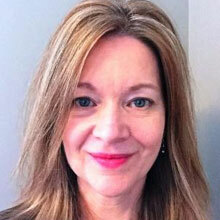 Edda Gottschaldt is a specialist in pediatrics and a specialist in psychosomatic medicine. In 1984, her husband, Professor Matthias Gottschaldt, founded the Oberberg concept from which the Oberberg Clinics emerged, a group of psychosomatic intensive care clinics with a focus on the treatment of addictions. 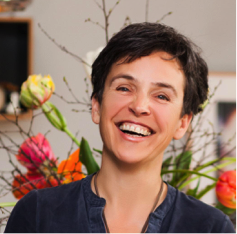 After the sudden death of her husband Professor Matthias Gottschaldt in 1998, she became the sole owner and head of the hospital group, which she successfully developed and expanded in the name of an integrative and holistic treatment model. She is a pioneer in the field of mindfulness-based procedures in psychosomatics and psychotherapy. In 2012, she sold the clinics to devote herself entirely to the next project that she been contemplating for the last 20 years: to create a place where people are accompanied through psychological crises in a multidisciplinary context, using the latest scientific knowledge from nutritional medicine, psychosomatics, Psychotherapy and mindfulness-based intervention. Retirement is unthinkable. Ken Hyatt is a Founder and Partner of CMPartners and a Senior Associate at the Center for Strategic and International Studies (CSIS). He is a founder of the Bridgeway Group, a nonprofit organization which works in partnership with parties in conflict-affected regions to provide long-term capacity building. Ken serves as an advisor to parties engaged in critical negotiations and conflicts and assists in the management of critical relationships. He also leads and contributes to policy initiatives aimed at strengthening international relationships. Mr. Hyatt rejoined CMPartners after serving in the U.S. Department of Commerce as the Acting Under Secretary and Deputy Under Secretary for International Trade. He oversaw the strategy and operations of the International Trade Administration (ITA) which contributes to the development and implementation of U.S. trade policy and has more than 2,200 employees worldwide. He worked with a wide range of U.S. companies helping them achieve their international objectives and with other governments on the development and implementation of trade and investment policies. 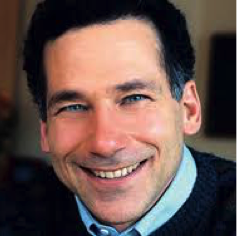 Prior to founding CMPartners, he was a Principal at Conflict Management Inc. and a management consultant with Bain & Company in its Boston, London and Munich offices. He received his B.A. from Yale College, his J.D. from Harvard Law School and was a Fulbright/West German Exchange Service Scholar. Christian W. Mandl is a medical and molecular scientist working on the development of innovative medicines to prevent and cure infectious diseases and cancer. He was the Global Head of Research and Exploratory Clinical Development at Novartis Vaccines. 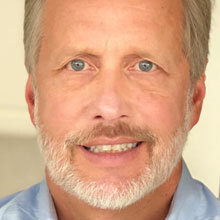 In this role, he led a global team of more than 300 discovery and clinical researchers developing a broad range of viral and bacterial vaccines, adjuvants and delivery platforms including the self-amplifying RNA technology (SAM), which he initiated in 2008 inspired by his previous academic research. 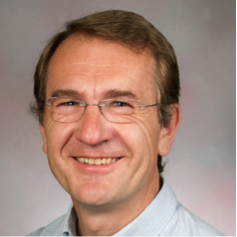 Prior to joining Novartis, Christian was Professor and Assistant Head of the Clinical Institute of Virology at Medical University of Vienna. He is an internationally renowned expert on viruses and vaccines, and has authored more than 100 scientific publications and patents. 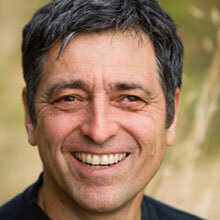 Aftab Omer, PhD, is a sociologist, psychologist, futurist and the president of Meridian University. Raised in Pakistan, India, Hawaii, and Turkey, he was educated at the universities of M.I.T, Harvard and Brandeis. His publications have addressed the topics of transformative learning, cultural leadership, generative entrepreneurship and complexity capability. 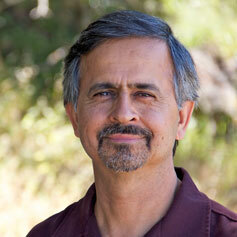 His work includes assisting organizations in tapping the creative potentials of conflict, diversity, and complexity. Formerly the president of the Council for Humanistic and Transpersonal Psychologies, he is a Fellow of the International Futures Forum and the World Academy of Arts and Sciences. 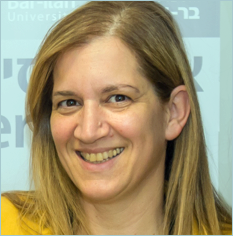 Prof. Rivka Tuval-Mashiach is a clinical psychologist and associate professor in the Psychology department at Bar-Ilan University, Israel. Her research fields include coping with trauma and stress, identity reconstruction in coping with trauma and illness, and the development of narrative theory and qualitative methodologies. Her clinical work focuses on individual and collective responses to trauma, mainly using narrative approaches to study identity reconstruction processes in the aftermath of traumatic events. In the last years, she focuses on trauma narratives, at both the individual and collective levels, and the role narrative plays in healing traumatic injuries. Prof. Rivka Tuval- Mashiach uses qualitative, as well as mixed methods in her research, and has published two books and numerous peer reviewed papers on these topics. 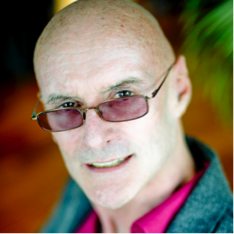 With over two dozen published books translated in nearly as many languages, Ken Wilber has created what is widely considered the first truly comprehensive Integral Map of human experience. By exploring and integrating the major insights and conclusions of nearly every human knowledge domain in existence, Wilber created the revolutionary AQAL Integral Framework. In short, the Integral Approach is the coherent organization, coordination, and harmonization of all of the relevant practices, methodologies, and experiences available to human beings. Wilber states: “You can’t [realistically] honor various methods and fields, without showing how they fit together. That is how to make a genuine world philosophy.” He is the founder of the non-profit think tank Integral Institute, co-founder of the transformational learning community Integral Life, co-founder of Source Integral exploring the nature of Integral Society, and the current chancellor of Ubiquity University. The Pocket Project © 2017 All Rights Reserved.